This beautiful crochet poncho pattern now features a 3-part video tutorial. 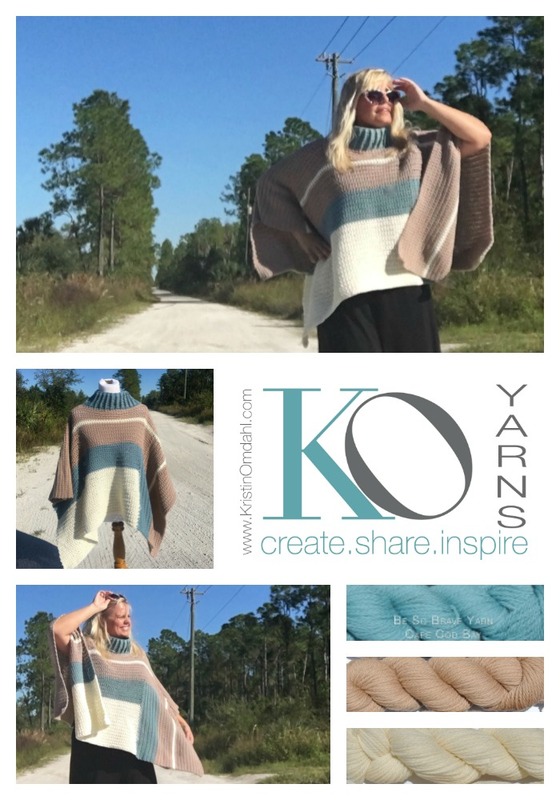 In part 1 you will learn how to crochet the front with really simple color changing stripes. PLUS, learn how to modify the size as needed. In part 2 you will learn how to make the neck hole opening with foundation stitches mid-row and crochet the back. In part 3 you will learn how to crochet post stitches in the round for the cowl neck. You can order Be So Brave Yarn here ON SALE ONLY $5 per hank!